Hey babes! This poor kitty is being haunted! By pink ghost mice, no less. The gorgeous glow is coming from one of my Gothic Gala Lacquers polishes. It was a custom Samantha made for me as a gift a while back, so it's very special to me :D Ofcourse, because it glows in the dark! Click to see more! I don't use this polish nearly enough, so I was looking for a good way to showcase it. 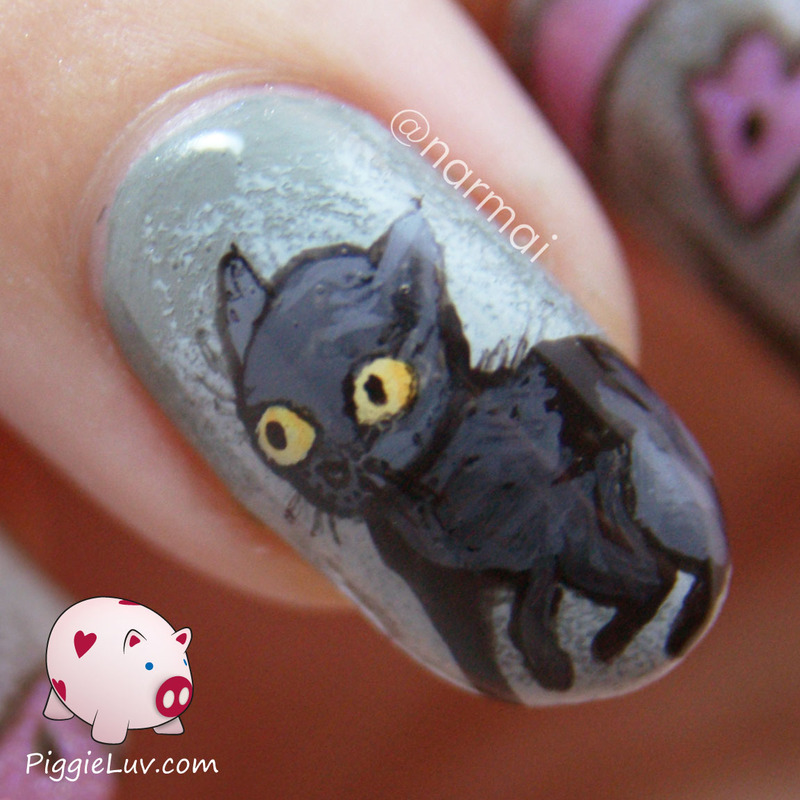 Samantha has a black cat named Loki, and that's why I chose this design! EDIT: found the original artist that I recreated this from! Look up Mary Doodles because I can't get enough of her sketches. I just feel bad that I copied her without being aware of it! 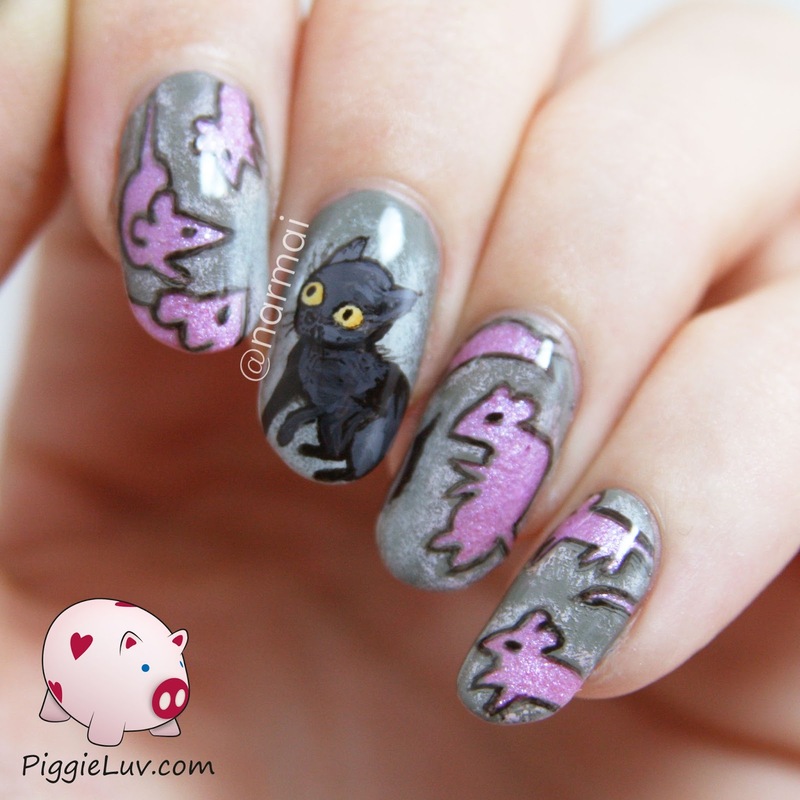 I applied the custom polish first, and made negative space by imagining where the mice would be, and then painting around them with acrylic paint. 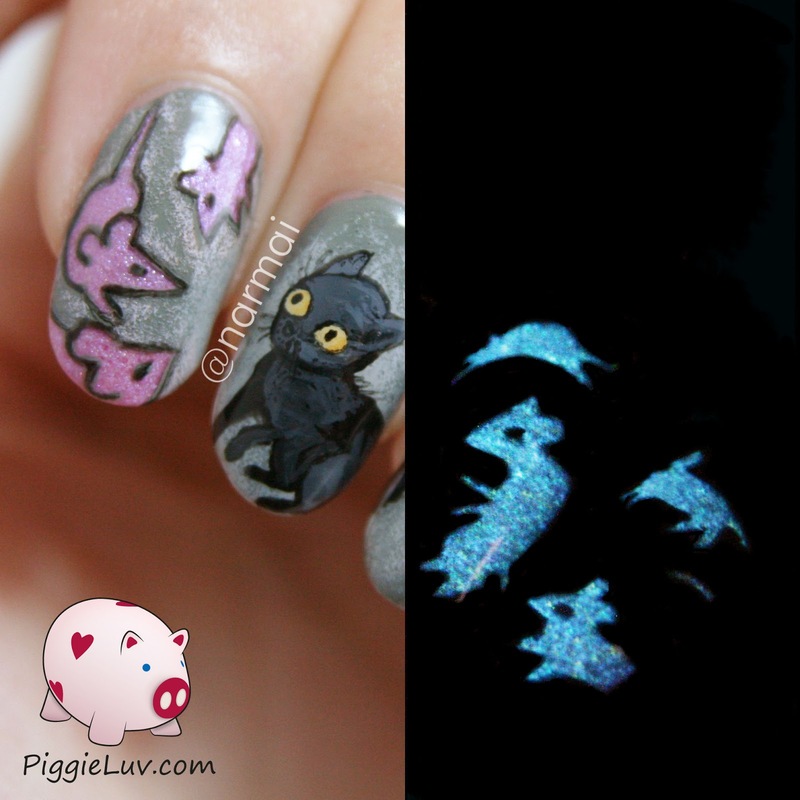 Then I sponged some pinkish grey acrylic paint around them and painted black outlines. All of this was painted using my Pure Color Glamour #1 brush from Stylish Nail Art Shop. It's a cat. And he looks like Loki. He's his lookalike, no, Loki-like! Haha! Bad joke... aaanyways, I love this little kitty! It turned out really great, and wasn't hard to paint. And don't worry. When he wakes up, the creepy ghost mice will be gone :D It's just a bad dream!